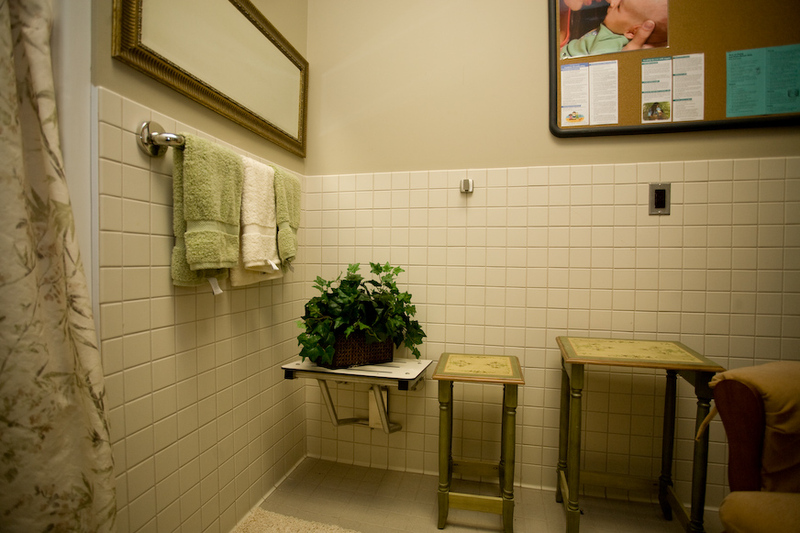 Howard County Health Department received a Gold Award from the DCBFC and MBC. 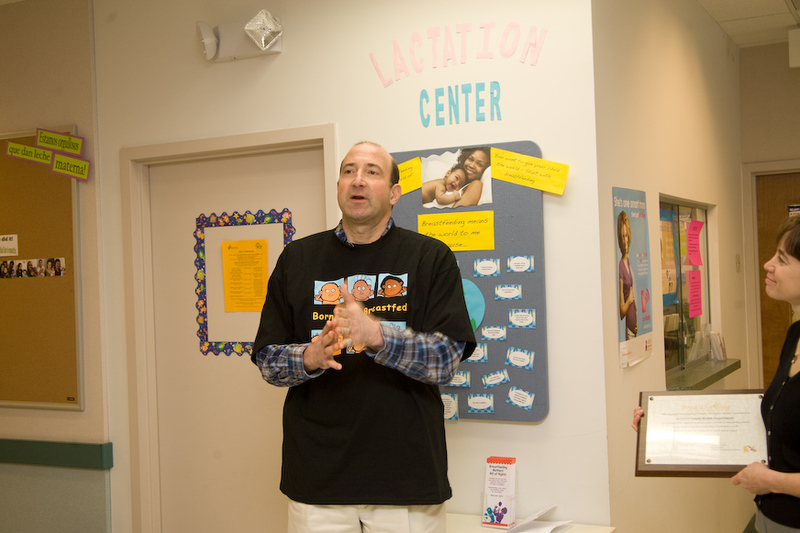 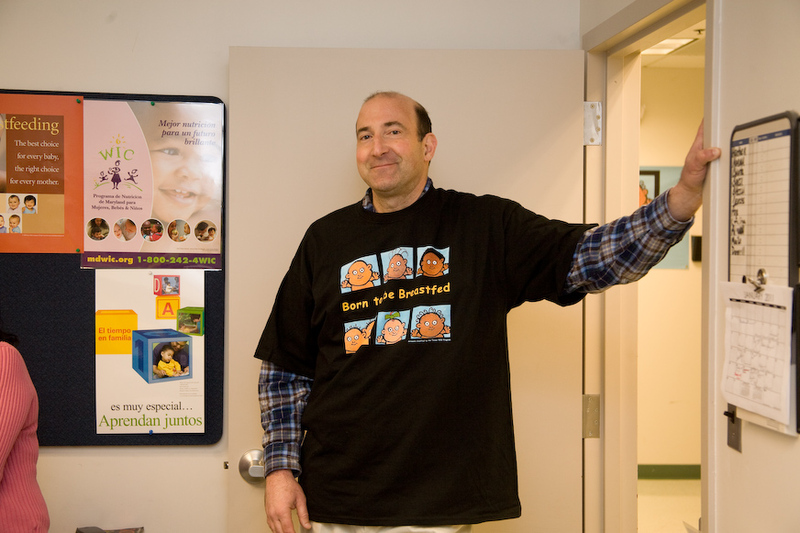 MBC's Dr. Dana Silver is pictured with County Health Officer, Dr. Peter Beilenson, shown wearing a "Born to Be Breastfed" t-shirt. 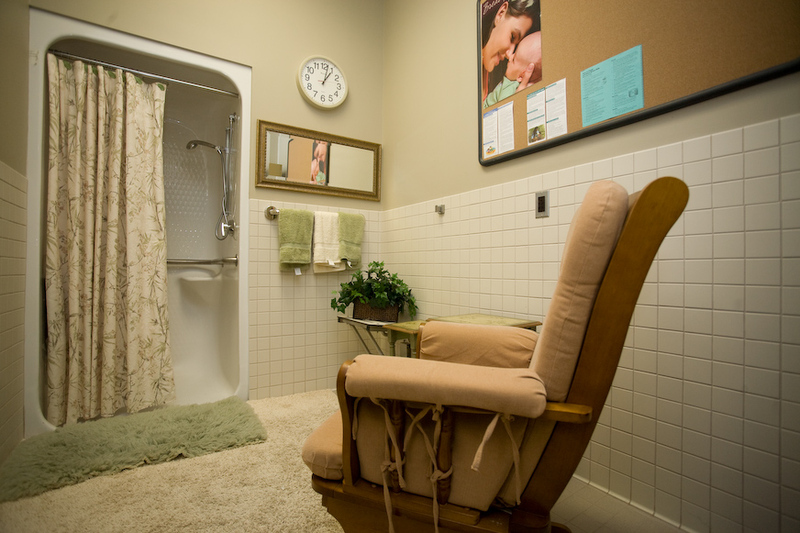 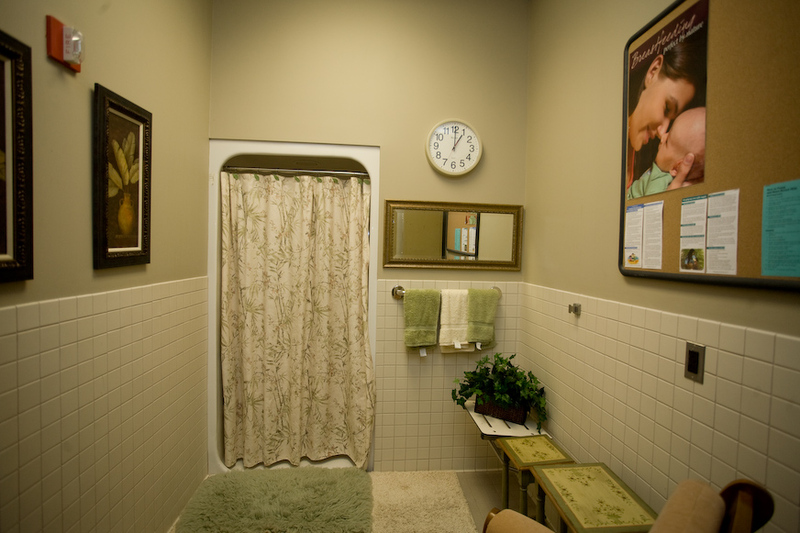 Howard County Health Department made use of an old shower room, decorating it warmly. 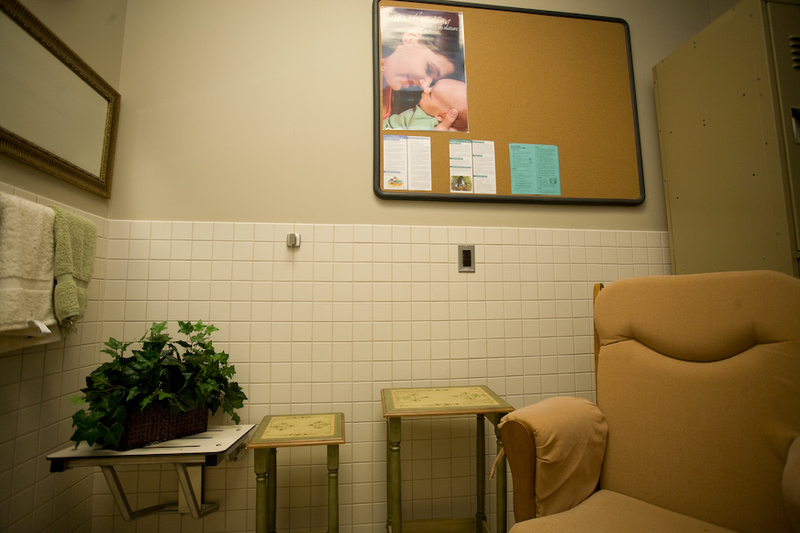 They also provide their employees with flexible break time, the ability to work part-time, and resources and support from a lactation consultant, when needed.